Our finest gifts we bring pa-rum-pum-pum-pum, rum-pum-pum-pum, rum-pum-pum-pum. 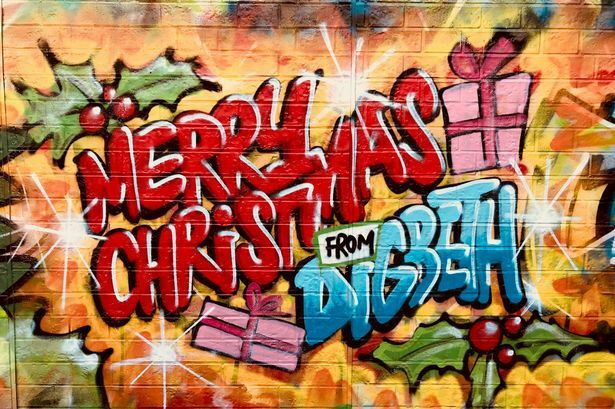 Christmas is here and the Custard Factory - and all our wonderful friends in-and-around Digbeth - have decided to thank you all for a great year by compiling a few fantastic discounts for some of the cool businesses here in Birmingham’s Creative Quarter. The city’s membership card for very best independent cafes, bars, restaurants, theatres and shops in Birmingham is running a 12 days of Christmas IBcard sale – get an annual membership for £12 instead of £15, or 2 cards for £18 instead of £20. The Independent Birmingham card gives you discounts at super-cool indies such as our very own Mockingbird Cinema & Kitchen, Kanteen, Chitty’s Cakes, Clink Beer, plus over 100 of the best shops/night spots right across the city. Those included are the Birmingham Hippodrome, The Lord Clifdon, MAC Birmingham, Digbeth Dining Club, The Old Crown, and the Birmingham Repertory Theatre. The super-cool 3D printing candy company Magic Candy Factory – which allows you to print out candy in 3D shapes, gummy messages, and even selfies – produce yummy sweeties for the ultimate stocking filler. Get a 50% discount for corporate logos and personalised Christmas cards. These are normally £7, but get them for £3.50 if you quote GUMMY50 on the website. If you have a bigger order then get in contact directly (via the website) and make your enquiry FAO of Brand Magician Caitlin Richards, who’ll be more than happy to make sure you get some award-winning vegan-friendly sweeties. The Old Crown, Birmingham’s oldest - and coolest - public house, is offering a 10% discount on Digbeth Apres Ski tickets for the festive event on 22nd and 23rd. The beer garden of the pub – which dates from 1368 (the pub, not the garden) - will have falling snow (fake snow we presume, we can’t take much more of the real stuff! ), pine trees, ski racks/lights and lanterns for the ultimate festive shindig this Crimbo. P.S. Did you know that the pub is haunted? The ghost is rumoured to attack bottles of cordial and pinch bottoms in unprovoked attacks. Terrifying! The Old Crown-owned eatery at the Custard Factory seems to be everyone’s favourite place for a good working brunch and/or lunch. Is this due to the buzz of the upcoming pug event in the New Year? Or just because the grub is so amazing? Anyway, Kanteen are offering a free hot drink with every brunch this December. Ghetto Golf, arguably the coolest venue in Brum, is a crazy golf/cocktail bar that has taken Birmingham by storm…and they’ve got some fantastic gift vouchers that will make a great Christmas gift for all Midlands-based crazy golfers! Furthermore, Slim’s BBQ Express (based inside Ghetto Golf), are offering 10% off to folks that say “Birmingham Post” at the counter during December. This is a chance to eat some finger-licking BBQ treats (chicken and waffles, chilli cheese fries, bacon cheeseburgers etc) while saving some much-needed pennies in the run-up to Christmas. Inspired by this year’s Great British Bake Off? Well, if you purchase a gift voucher for a class with the wonderful independent cake shop Chitty’s Cakes then you’ll also receive a FREE festive-themed cake decorating set. Maybe this can be used as a natty Christmas gift for the wannabe Prue Leith in your life? The lucky recipient will be in TIERS due to receiving this cake-themed gift. Err…a little joke for all you bakers out there. To take advantage of this offer, just mention Birmingham Post when you purchase your gift voucher online, at Chitty’s cake shop or over the phone. Red Candy is the home of all things colourful, modern and quirky! With their fun-filled website and tongue-in-cheek tagline ‘Shut up, beige!’, it’s no surprise that Red Candy also has oodles of quirky gift ideas! From dinosaur-shaped lamps to eye-catching photo displays, if you’re looking for a present that’s a little bit different then check out their colourful website! Order by 12pm on 20 December for pre-Christmas delivery. Photo by Curious Rose Photography. The nice folk at Red Candy are offering an exclusive 15% discount code for Birmingham Post readers: BRUMPOST15 (Valid for the dates 15-19 December). The winner of the Midlands Food & Hospitality awards in 2016 and 2017, Birmingham’s original vegetarian restaurant is picking up acclaim left right and centre for their delicious nosh. The Warehouse Cafe are offering a 10% discount during December if you mention this article to the staff. FYI we are all very much looking forward to their move to the bigger space on the ground floor in the lovely building on Allison Street in February. Very exciting! Would your friends or family want a 3D printed version of themselves? Of course they would! Backface can print out an 18cm figure of a loved one, which we think would be a very cool gift. The Guinness World Record holders (for the tallest 3D printed human, as seen on Channel 5’s The Gadget Show) are offering a voucher for £99, reduced from £140, for a 3D printed figure. Digbeth’s independent cinema shows the latest blockbusters for as little as £4. Film fans have seen the likes of Dunkirk, Blade Runner 2049, and Wonder Woman at popcorn-dropping prices. Furthermore, great food and cool film-themed events – such as the upcoming Love Actually lunch with unlimited Processo on the 23rd Dec – mean that there’s always a quirky Digbeth slant to movie-going that makes the Mockingbird Cinema & Kitchen such a joy. Star Wars: The Last Jedi is now being shown at the cinema for £6.95 (adults) and £5.95 (students, seniors). Bargain! The cinema have also launched gift cards just in time for Christmas. Fazeley Studios is a former chapel built in 1876 that is now a party venue for weddings, student balls, and private parties. The Custard Factory’s sister venue, which also hosts corporate events (such as the British Film Institute’s #BFI2022 and the launch of Andy Street’s mayoral campaign), has vaulted ceilings and original windows that make this gorgeous venue a hidden gem in Digbeth. The Fazeley Events team are offering HALF PRICE exclusive bar hire for January events and FREE breakfast baps for any Day Delegate bookings in January. Simply mention this article to take advantage of these fantastic offers! Digbeth’s latest vintage store, the Thrifty Store, are offering a brill 20% OFF throughout December if the customer mentions “ThriftyCustard” when at the counter (with your arms filled with piles of stylish retro clobber?) at the awesome revamped warehouse space on Milk Street. Look out for their Thrift-mas £1 sale on the 23rd and 24th Dec! Kerry Lyons, owner of the superb design-led, boutique paper goods studio Kerry Lyons Co., raised an impressive £21,012 on Kickstarter to help her The Imperfect Life® Planner project to life. The stylish 2018 planner, which was featured in The Guardian, is a fab self-improvement organiser that allows owners to “go pro at hunting imperfection”. CUSTARD10 will get customers 10% off The Imperfect Life® Planner until 11:59pm on December 18th – which is the last order date for Christmas. GraffitiArtist.com - whose clients have included the BBC, Dragon’s Den, Liverpool FC, Sony, Coca-Cola, and Angry Birds – do stunning street art mural commissions for both leading brands and SMEs. The iconic street art brand/store/artists, who are largely responsible for the stunning street art in Digbeth, are offering a superb 20% off any workshop - just phone up and book using the code CUSTARD. The Polish restaurant in Birmingham, which has been quite rightly raved about in the national press (The Guardian and The Independent), has foodies tucking into classic Polish classics such as Pierogi (stuffed dumplings) and Zurek (Pickled Rye Flour Soup) in the building (styled as an old Polish country cottage) at the Polish Millennium House on Bordesley St.
You’ll want to eat every meal out of hallowed loaves of bread once you visit The Karczma! And if you mention the Birmingham Post to the waiting staff before Christmas, you’ll get a free hot drink (hot chocolate? Winter tea?) with your order. Adam Hussein is award winning artist who designs and creates bespoke glass art from concept to installation in his Digbeth studio AH Contemporary Glass. Adam’s bespoke art & accessories are both elegant and stylish, but also with a personal & handmade character that has won many plaudits. The studio’s beautiful Christmas tree decorations – pictured below – are absolutely perfect for a festive discount! Adam is offering a free decoration if you buy 4 Christmas trees decorations during the run up to Christmas. Yep, we are cheating a bit here…as the Gin Festival team are not actually based in Digbeth – but they did hold their fest at the Custard Factory back in September, so they have been given special honorary membership as Digbethians for this blog. You can use the code getstarted15 on their website to get a 15% discount off gins and gin-related paraphernalia from the Gin Festival website. Just the tonic for Christmas! The offer closes on the 1st Jan.
You can’t write an article on Digbeth without mentioning the iconic street food behemoths Digbeth Dining Club now can you? Nope! This Christmas season DDC are offering 2-4-1 on bottles of prosecco, wine and beer between 4-6pm for all foodies out there that need to get their taste buds lubricated. Looking for a new office for 2018? Get in contact with us…we can possibly offer a bit of flexibility on office space (if you catch us while we are filled with mulled wine and seasonal glee)! Finally, we are immensely proud of our cool little area of Birmingham (named as the 3rd hippest place in the UK by TravelSupermarket), which is only going to continue to grow and flourish thanks to increased investment (hello HS2!) and the unrivalled passion/creativity of the people in our wonderful city. Digbeth, 2018 is going to be a blast. TechnologyComment: It's 2019 - where's my flying car?The technological hurdles to overcome in designing a commercially-viable flying car are numerous and any potential design needs to answer many questions.